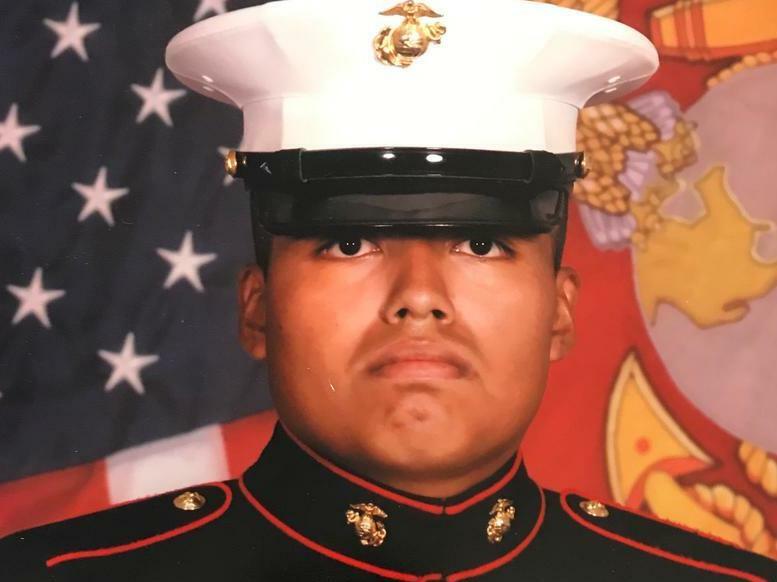 Jilmar Ramos-Gomez served in the Marines and saw combat in Afghanistan. Born in Grand Rapids, Mich., he is a U.S. citizen. But last month, federal immigration authorities took him into custody to face possible deportation. Attorneys and immigration advocates in West Michigan are now demanding to know why, and how, that happened. 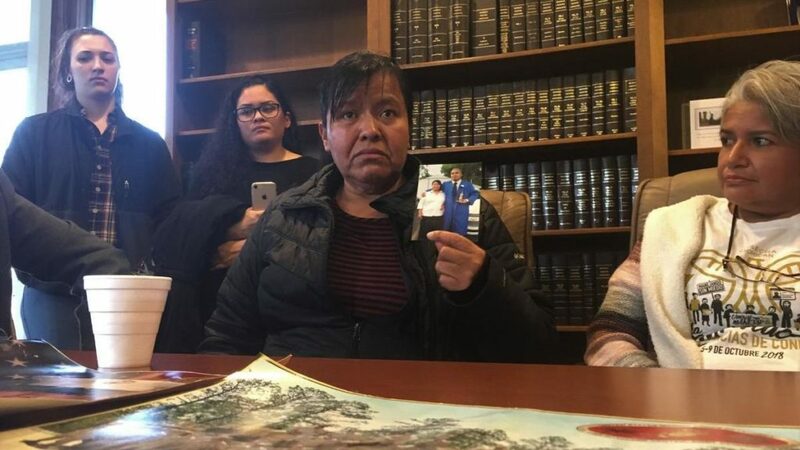 Ramos-Gomez’s mother, Maria Gomez-Velasquez, remembers getting a call from her son on a Friday, telling her he would be released from the Kent County jail. When she went to pick him up, a jail employee told her he had just left, in a van filled with detainees held by Immigration and Customs Enforcement. Gomez-Velasquez sat a conference table Wednesday at the family attorney’s office. In front of her, spread out across the table, were photos and documents of her son’s accomplishments. His high school diploma; a photo of him in the Marines’ dress blues, white cap, black brim pulled low. The attorney, Richard Kessler, helped interpret for her. She cried. She prayed. And then she called an attorney. She says it tookuntil Monday to get him out. Ramos-Gomez wasn’t at the law office with his mother Wednesday. He hasn’t spoken to reporters. His mother says he is currently getting treatment for his mental health issues — including PTSD — which she says he has been coping with since returning home from Afghanistan. Back in November, he was arrested by Grand Rapids police for trespassing onto the helipad area on the roof of a local hospital. He pleaded guilty to that charge, and a local judge ordered him released. Kessler is the one who called ICE to tell the agency it had a citizen, a Marine war veteran, locked up in its jail. He says he suspects Ramos-Gomez had told people all along he was a citizen. The Kent County jail confirms Ramos-Gomez told staff there he was born in the U.S.
A spokesperson for ICE did not reply to a request for comment. The Kent County sheriff’s department says it is investigating the incident. But Undersheriff Chuck DeWitt says if there was a mistake, the mistake seems to have been made by ICE. Policies were followed because in Kent County the policy is to cooperate with ICE whenever the agency makes a request to hold someone until that person can be transferred to federal custody. Attorneys, including Miriam Aukerman of the ACLU of Michigan, have been warning for months that something almost exactly like what happened with Ramos-Gomez could happen. As NPR reported last year, a U.S. citizen named Peter Brown was mistakenly identified as a Jamaican who was here illegally and was flagged for deportation. Dewitt says the Kent County sheriff’s department has no plans right now to stop cooperating with ICE. Gomez-Velasquez says she still wants answers for why her son was held for deportation. She says the case has shaken her faith in law enforcement.